Science for kids can be fun! 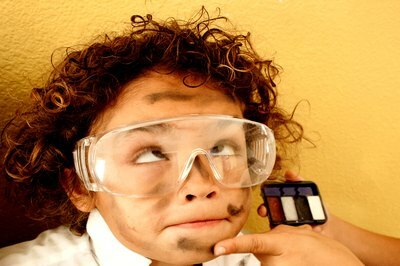 Dress up children as mad scientists and complete kid science experiments. A homemade mad scientist costume can also be used for a science birthday party theme, on Halloween, for school presentation or during a science fair. Create a mad scientist costume by using some items you may already own. 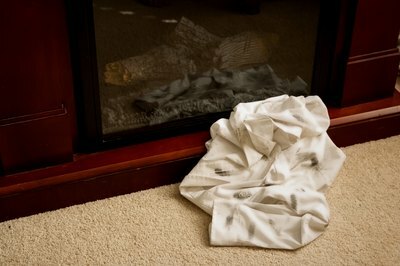 Splatter a white lab coat or long-sleeved, white, men's button-front shirt with soot from the fireplace. This makes the coat look like a lab explosion occurred all over it. 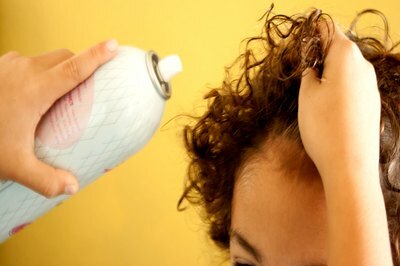 Spray the child's hair liberally with hair spray, and use your fingers to comb the hair upward. 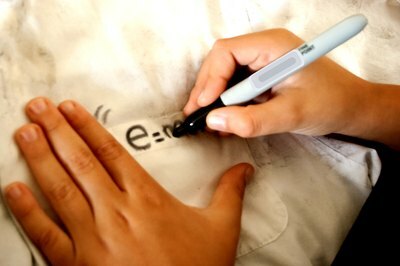 Write the letters "e = mc2" using a black permanent marker on the white lab coat or shirt. Dress the child in a lab coat or shirt, tie, dress pants, work shoes and goofy socks. 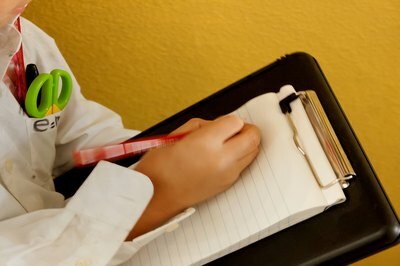 Add several accessories, including pens, a pocket protector and a protractor, to the front pocket of the lab coat or shirt. Add a clipboard or beaker that the child can carry in hand. Place eye goggles on the child for "protection." Smear the child's face with black face paint to give it that dirty, explosive look. You may use red paint as fake blood instead of fireplace soot for a more ghoulish look. If you do not own a lab coat or men’s shirt, check the local thrift store for a great buy. Add a tie or bow tie for a professional look. Purchase a flask full of candy that includes fake eyeballs and fingers. Have the child wear rubber gloves for extra protection in the "lab." Wear non-flammable clothing for Halloween. 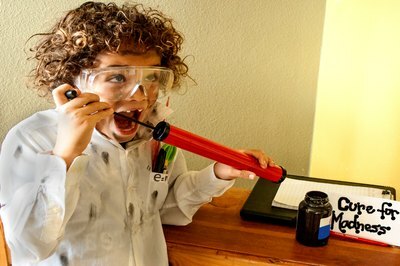 Create a scientist costume for Halloween, parties or children's dress-up play, using a lab coat and a few craft items.